In its programme, “Latscho Diwes,” Stiftung EVZ (“Foundation for Remembrance, Responsibility, Future”) funds civil society organisations from Central, South, and Eastern Europe that are locally supporting survivors of the Roma genocide. 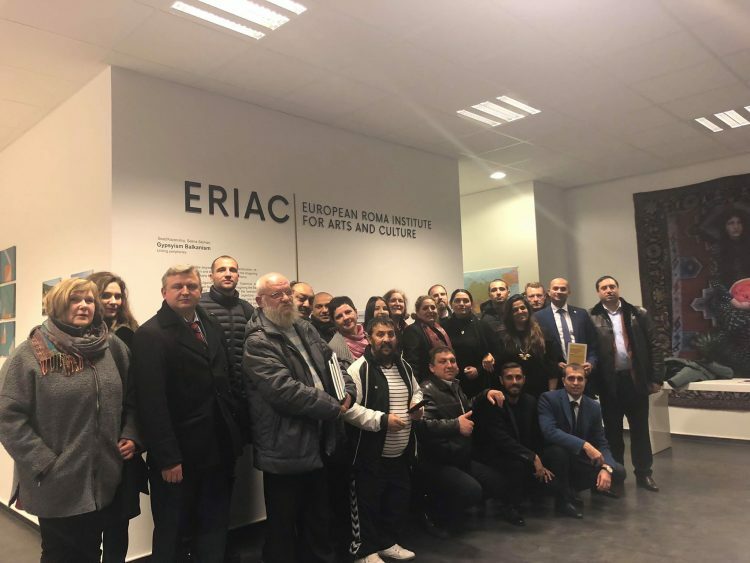 On 20 November 2018, 25 representatives of such organisations from Belarus, Ukraine, and Moldova were invited by Stiftung EVZ for a seminar in Berlin and visited ERIAC. – to contribute to the societal recognition of Roma and to their inclusion into the respective majority societies. 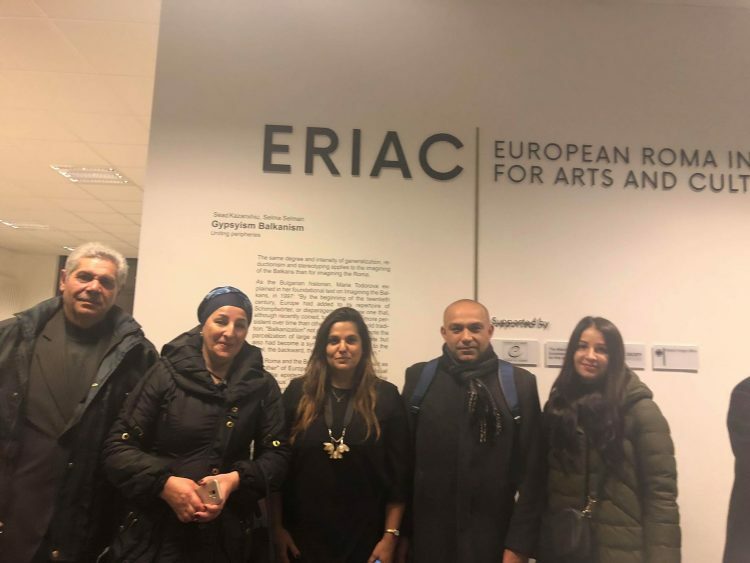 The visitors were given a curatorial visit of ERIAC´s exhibition “Gypsyism Balkanism” by Sead Kazanxhiu and Selma Selman before entering a discussion with ERIAC Executive director Timea Junghaus on the situation of Roma in the participant´s countries and the perspectives of Arts and Culture work for the Romani communities.